The Morrello Clinic’s Jakko Brouwers and Sarah Harling created this case study in research poster form for the C-Mill. 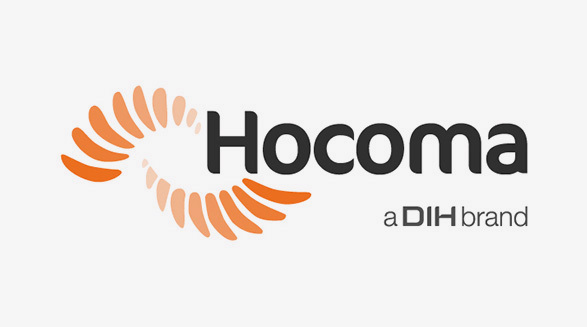 This evaluates improvements in gait in chronic stroke using the Hocoma C-Mill treadmill. You can view the original research poster here. Introduction: Studies have proposed intensive massed practice may be necessary to modify neural organization and improve motor skills following stroke. 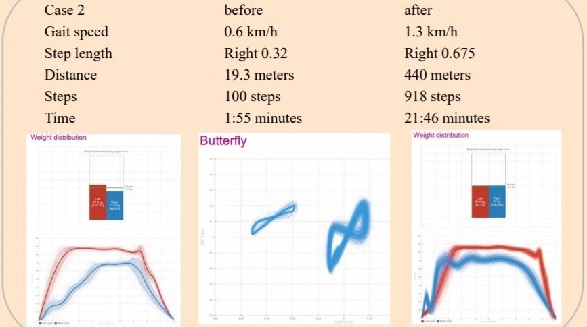 Knowledge of result (KR) is an important element to motor learning and enhancing performance. Augmented feedback (AF) offers the ability to show result of performance either real-time or afterwards (terminal feedback) in a meaningful way. Real-time feedback may offer a route to by-pass possible sensory deficit which otherwise limit outcomes in rehabilitation. Virtual reality (VR) technology has the capability of creating an interactive, motivating environment in which practice intensity and feedback can be manipulated to create personalized and challenging treatment. 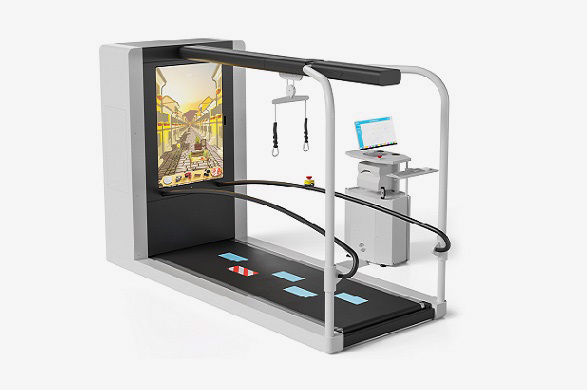 Aims: to evaluate AF/VR treadmill training on the provision of gait rehabilitation following stroke. This equipment is costly and dissemination of results will help others in decision making and business cases. 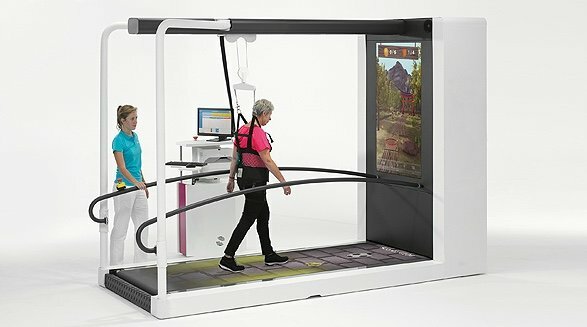 Methods: Three retrospective case studies of stroke patients who attended clinic for at least a year prior to AF/VR treadmill training. All had difficulty developing independent mobility during NHS rehabilitation but expressed a desire to improve functional mobility. They attended clinic at least once a week. 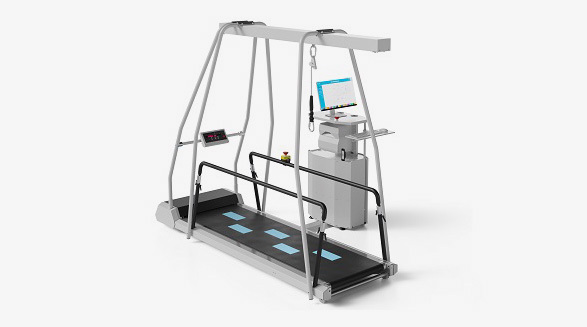 The Hocoma C-Mill treadmill is a medical grade treadmill offering: Full walk area force-plate analysis, interactive projection on the walk area and on a screen in front, ceiling track. 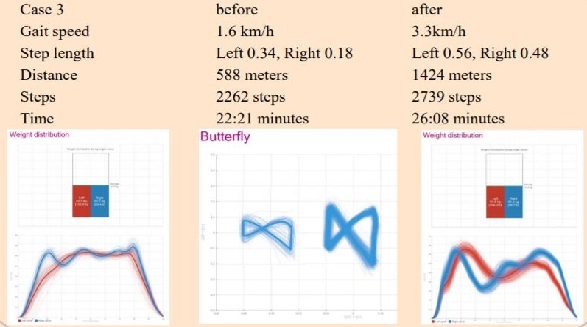 Recorded were: Gait speed, step length, power, weight distribution, distance, steps, total time walked. Female, 36, right hemiplegia. Seen from discharge from NHs services. Severely sensory impaired on right side. No active movement in her right arm with a significantly subluxed shoulder. This was confirmed under US imaging. Slow gait with crutch on left short distances indoors, AFO right, hyperextending knee. Set up with Bioness L300 Plus system for active correction of dropfoot and providing knee control. She was one of the first patients we set up on the C-Mill. Male, 58, Right hemiplegia. Discharged from NHS service with Stedy for transfers and right shoulder pain. Daily exercise stand in OSF for one hour in his house. 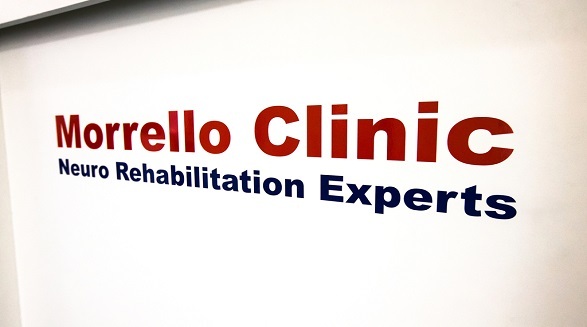 On starting rehab at Morrello, US Imaging confirmed subluxation. Set up with shoulder stim and Bioness L300 Plus system for dropfoot and knee control. Able to do sit stand exercises in parallel bars, progressing to walking. He was late getting on the C-Mill as he did not feel able to walk long enough. Goal: Walk short distance to go on holiday. Female, 49, left hemiplegia, 7 years post therapy input from the NHS but receiving Botox injections every 3 months for her forearm and calf. Started with Bioness L300 dropfoot and H200 ahnd simulator to reduce tone and activate. She joined Stroke Group sessions 3x a week, where she progressed to Saebo Group. Although her mobility had already progressed, she was still keen to improve more. She was also one of the first patients to be set up on the C-Mill programme. 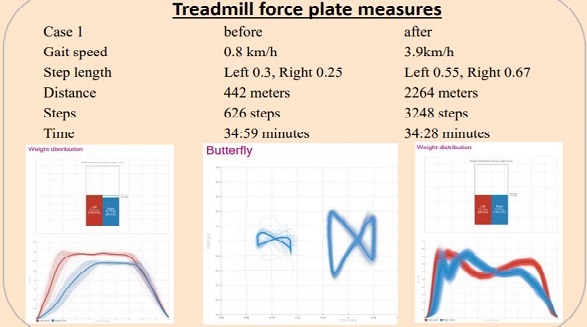 Comparison of treatment records prior to treadmill training with C-Mill assessment and treatment data over a period of up to 12 months, showed considerable improvements in gait speed and in distance/time walked. All achieved their functional goals. VR/AF treadmill training allows these patients to increase intensity of training needed to make gains in the chronic phase of Stroke. Significant functional improvements in gait are still possible long after Stroke with a high intensity rehabilitation programme. Treadmill training and body weight support for walking after Stroke, Mehrholz J, Thomas S, Elsner B. Cochrane Batabase Syst Rev. Aug 17;8:CD002840. doi:10.1002/14651858.CD002840.pub4. D-Flow Immersive Virtual Reality and Real-Time Feedback for Rehabilitation, Geijtenbeek T. et al. We’re very impressed with the service that Summit provides throughout the procurement, installation and support process, and would highly recommend them. 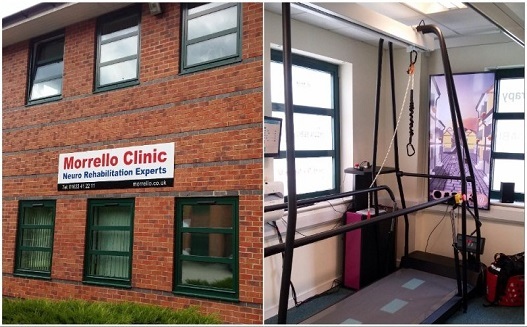 There’s been a great reception from staff who have found the C-Mill easy to use; our patients have loved it, remaining engaged throughout treatment sessions. BASIC are delighted to be using Motek's products with clients recovering from acquired brain injury. It’s making a big difference to people’s quality of life. Working with Summit has been a very easy process… I would definitely recommend Summit for anyone looking to purchase AMTI force platforms. The Sports Surgery Clinic has only had positive experiences with Summit and I can only recommend them. Summit Medical and Scientific has provided us exceptional product support and service over the years. Summit responds quickly to correspondence and is always helpful. Working with Summit has been a professional yet personal and informal experience. Whether over the phone, in email or in person, we have always been on the same wavelength. it’s made me more confident and pushes me to make improvements in a safe environment. 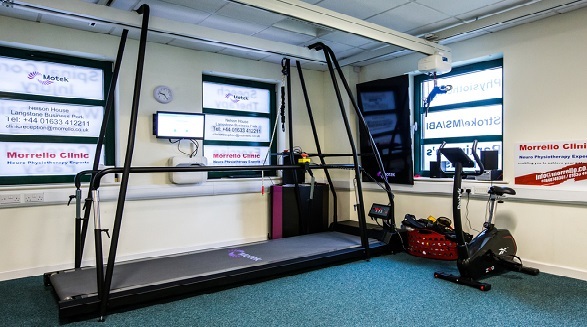 Significant functional improvements in gait are still possible long after Stroke with a high intensity rehabilitation programme using the C-Mill.